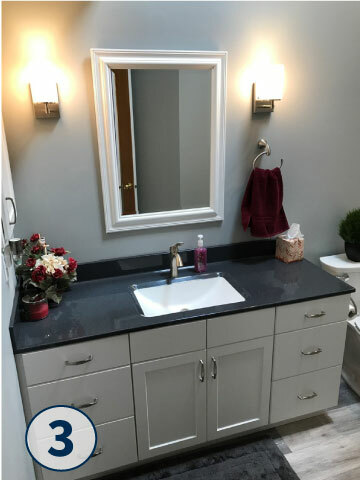 Whether you have been dreaming of a bathroom with double sinks, tiled floors and a large lit vanity, or you have something simpler in mind, we will help you design and create the perfect bathroom remodel for your Tennessee home. Our expertise doesn't stop at design; we also offer quality materials for you to choose from, including granites, travertines and fine woods for your cabinetry. Nashville 3 Day Kitchen & Bath will match whatever bathroom design you are after. We also provide completely custom kitchen remodeling too. 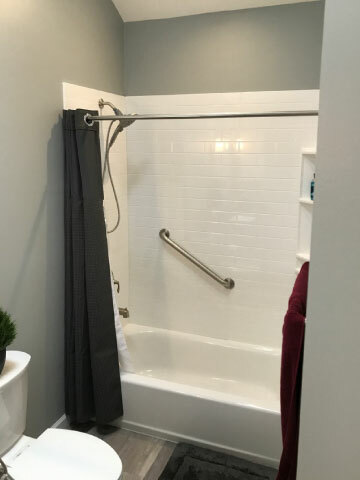 See how much your Nashville, Tennessee bathroom can change in just three days, with our 3 day miracle pictures. We work with you one-on-one to design your new bathroom. 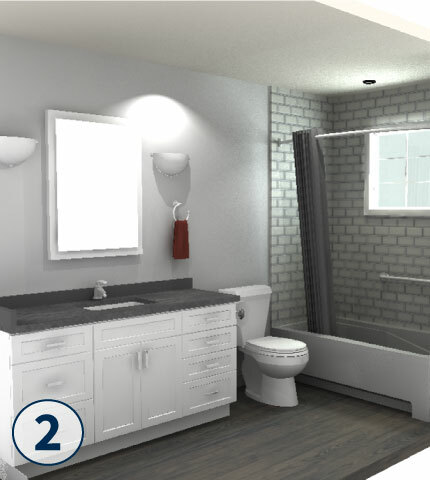 Once your bathroom design and materials are confirmed, the remodeling process can begin. 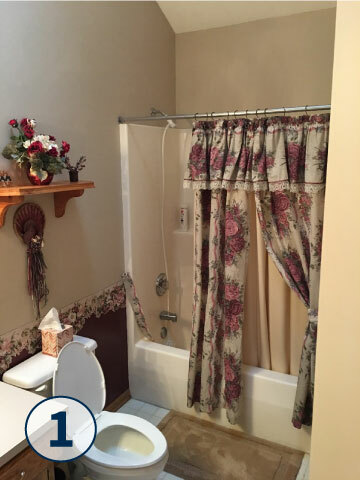 Within a few hours we remove everything in your old bathroom. We repair any existing problems, and modify as needed to accommodate your new bathroom design. You'll be amazed how quickly we can patch and texture the walls, install new bathroom cabinets, counter tops, and lay new flooring. Of course, we'll also upgrade the electrical, plumbing, lighting fixtures, and even do the painting. Don't worry, we won't forget anything!